Open rhinoplasty is a cosmetic surgery technique to enhance the shape and size of the nose by making a discreet external incision in the columella. At the time of pre-operative consultation, the surgeon will explain both open and closed rhinoplasty techniques to the patient and determine their candidacy for the appropriate technique. Many surgeons prefer to show open rhinoplasty before and after photographs during the initial consultation. This helps the patient understand the potential effectiveness of the procedure in a better way. Stellar and dependable facial plastic and reconstructive surgeon Dr. Eric Yavrouian provides open rhinoplasty to patients in Glendale, Pasadena, Burbank, Greater Los Angeles, Beverly Hills CA, and surrounding communities across the horizon. What are Open Rhinoplasty Before and After Pictures? Before and after pictures in case of open rhinoplasty cosmetic surgery refer to a set of images pertaining to a previous patient who has undergone the same surgery with successful results. The set includes pictures taken prior to the surgery and after the surgery at a time when the post-surgical bruising and swelling has subsided and new contours of the nose have firmed up. The surgeon will take care to ensure that the photographs are acquired only with the full consent of the patient and shown to new patients in an appropriate manner. The patient’s identity may be kept undisclosed as per the established norm. The surgeon’s only purpose behind this exercise is to use these photos as a visual aid to educate new patients about open rhinoplasty and its potential benefits. Open rhinoplasty is a major cosmetic procedure concerning the face. A patient will naturally have some apprehension about how this procedure may affect their facial proportion and balance, and whether their facial integrity and identity will remain unchanged. Some patients may only want limited nasal enhancement, while some others may require very significant changes. In some cases, open rhinoplasty may have to be performed in conjunction with chin augmentation or another facial procedure. In each case, the patient will be in a better position to make the right decisions when they have access to open rhinoplasty before and after photos. Patients who are able to maintain realistic expectations about a cosmetic procedure such as open nose surgery will typically achieve better satisfaction levels in the end, and will be in a position to appreciate their enhanced shape of the nose. Therefore, experienced surgeons prefer to present open rhinoplasty before and after photos at the very first appointment. This simple effort also mitigates the risk of any disappointment occurring for the patient at a late stage when it may not be possible to reverse the changes to the nose. 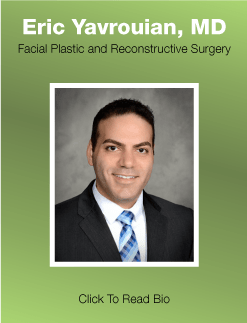 Facial plastic and reconstructive surgeon Dr. Yavrouian receives patients from Glendale, Pasadena, Burbank, Greater Los Angeles, Beverly Hills CA, and nearby areas for open rhinoplasty. The surgeon may choose to provide open rhinoplasty before and after photos in a dedicated Photo Gallery section on their practice website which Dr. Yavrouian does with acumen. This will give access to the photos to anyone who may like to learn more about the procedure. The real story here is digital technology which so many industries have accepted into their portfolios of business. The plastic surgery community is certainly in this long line of industries which has adopted this type of technology much to their patient’s delight. Now patients of all walks and life can see what to expect in certain types of surgeries and rhinoplasty is certainly one of them. They say a pictures equals a thousand words but a digital picture must equal three thousand words then right? It is only rational to say that when you compare an old fashion picture with a digital picture. On top of this, a patient can check out these pictures without anyone else knowing and we all know how vital privacy is despite so many people spilling their lives onto social media outlets every day. Now when a patient agrees to rhinoplasty surgery they are less anxious since they applied what they saw on the screen to their own body. This is a blessing for the surgeon, patient, and everyone else.